How do we organize and prepare for this event? What steps do we take and when should we take them? 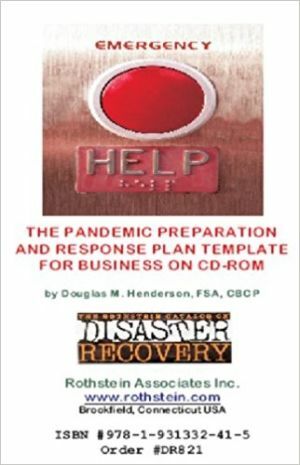 The Pandemic Plan template provides step-by-step solutions to these and other important questions. Analyzes the factors that trigger actions by the business. - Evaluates the factors that determine your business risk. Outlines a program to assist employees and highlights key compensation and time-off policies. Examines social distance policies and personal protective equipment that may be effective for your business. Includes personal infection avoidance distribution material to employees. Follows guidelines recommended by the Disaster Recovery Institute International, Business Continuity Institute Good Practices Guide and industry best practices.